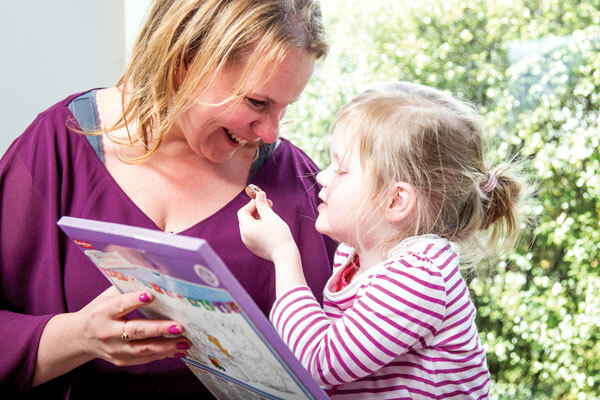 My name’s Fiona – that’s me there in the pic with my beautiful daughter Asha. Firstly, I’d like to take a moment to thank you for sharing the journey I’ve been on with my husband Matt, Asha and everyone who has supported us by supporting the Blind Foundation. It’s hard to believe that only three Christmases ago, our family was in complete meltdown. You know that sick, shaky feeling you get in your stomach when you lose a child in a store, or after a near-miss car crash? That’s how I felt on the day I first suspected my beautiful three-week-old daughter might have something wrong with her eyes. I tried to push the feelings away – surely there couldn’t be anything wrong with my perfect baby girl. But a week later, my worst fears were confirmed. To this day, finding out my beautiful little Asha was blind – and realising there was not a single thing I could do about it – was one of the hardest moments of my life. I felt overwhelmed with grief as our happy little newborn baby life crumbled and broke in front of us.The resident ophthalmologist at Dunedin Hospital told us Asha had severe cataracts in both eyes, and without urgent surgery, would never see because her brain wouldn’t have time to learn how to process visual information. A mixture of panic and despair took over. What will we do? Will she ever see us? How will she live? As absurd as it seems, the Ophthalmologist told us he was retiring, so we would have to wait for the new surgeon to start before Asha could be operated on. Although the wait was only a week, it was quite honestly the longest seven days of my life. Handing my precious seven-week baby for her first operation – well, I’ve never felt so sick in my life. 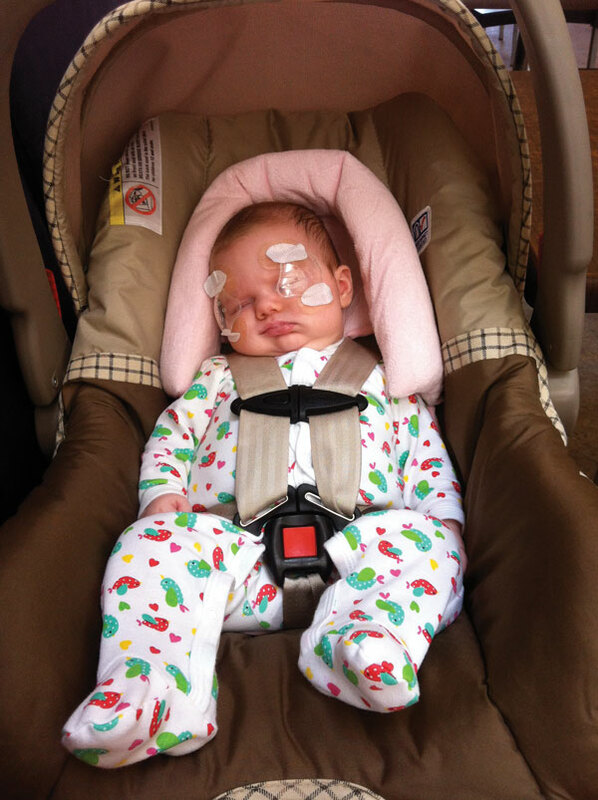 By eight weeks old, Asha had undergone major surgery on both eyes. My husband Matt and I were shattered. We were physically exhausted from having to give her eye drops every 30 minutes, around the clock, and emotionally exhausted from having to hold her down to get her contact lenses in and out – Asha fought us with the strength of a hundred men. Matt’s ended up having to be the ‘bad guy’. He holds her down to get her contacts in and he’s the one who takes her in for surgery. I just can’t do it. It breaks my heart. Then an angel called Alana walked into our lives. Alana works for the Blind Foundation and meeting her was like a light turning on in our darkness. Alana’s loving support has literally been the difference between feeling like our world is ending, and feeling like things will be ok for the three of us. The positive reinforcement Alana gives about Asha’s progress and ways we can improve things together, has allowed us to move forward as a ‘regular’ family. Alana is awesome. She’s an angel. I’ll never forget the turning point. As a baby, Asha had no facial expressions because she’d never seen another face and didn’t know what a smile was. So you can only imagine the deep joy we all felt when, at 10 weeks old, she looked in the mirror, saw her own face and smiled. If I close my eyes, I can still see the look on her face and that was one of the best moments in my life. This is the first year Asha has really grasped what Christmas is and she’s super excited for us to have a big Christmas tree and to help her Nana hang the ornaments, with one very special angel on the tippy top. Will you be an angel too? 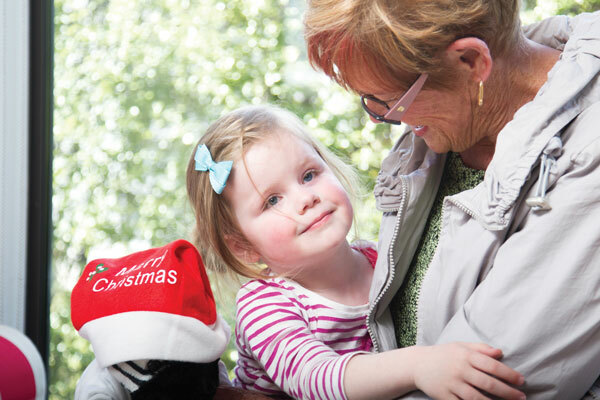 This Christmas, you can be a Christmas angel for our family and others who are in the same boat by donating today to help Mums, Dads and kids struggling to live with sight problems. We give whenever we can – I want to make sure other kids like Asha get the best from life because the Blind Foundation can be there to support them too.